The System Administrator Account has access to a complete list of Unregistered Students. This article provides basic navigation on viewing this list. Go to User Management > Students > Unregistered Students. 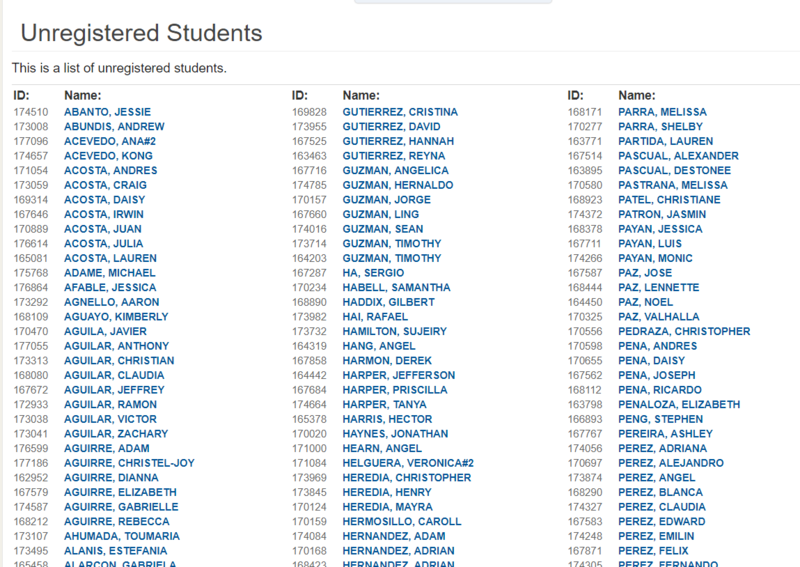 The list of unregistered students is displayed.